Finally. 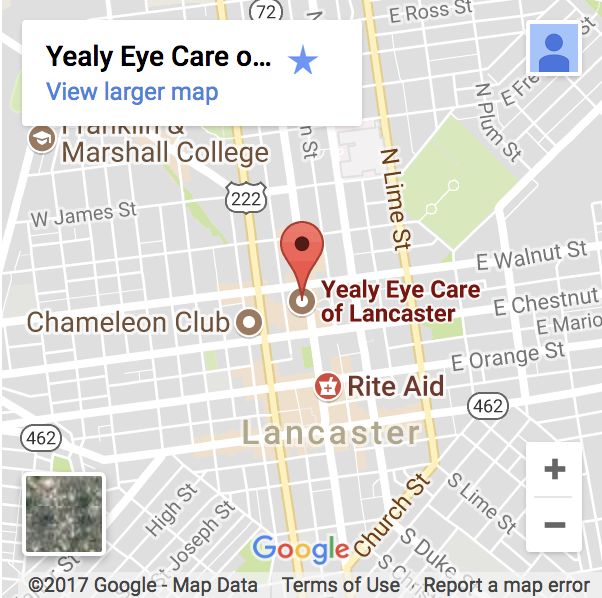 An eye care center that really cares. I’m new to the area and needed to find a new eye doctor in a pinch; I’d needed a new contacts and glasses prescription in a few months, but I suddenly had some major trouble with my eyes and needed to move quickly. I called Yealy because it was in walking distance to my office; I was seen THAT day — within an hour to be exact. They squeezed me in because I was in pain, and I am so grateful for that extra service. It’s so nice to walk out of a doctor’s office and have people to tell you to have a nice day — and calling you by name!